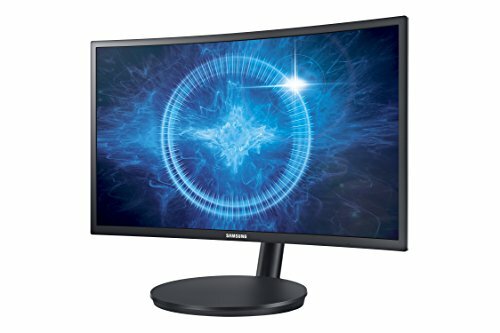 SAMSUNG CFG70 Review – When we first saw this display at CES 2017 in Vegas, we were absolutely blown away. 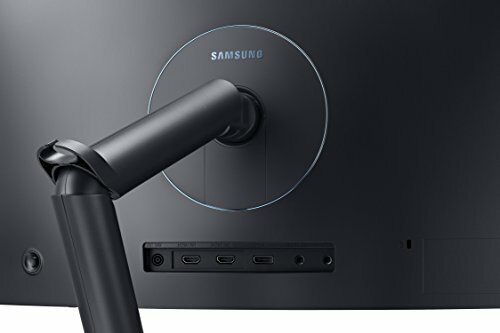 Leveraging technology from Samsung’s TV range, it cranked out an image quality we’re simply not accustomed to when it comes to the PC. That technology is known as Quantum Dots, and it brings a whole other level of color and contrast to PC displays. Without getting too complicated, this display uses a VA panel with an extra layer of Quantum Dots. This allows it to basically replicate any color in the natural world, with contrast levels off the charts. It’s not quite as good as OLED when it comes to blacks, as it’s still backlit, but it’s a world apart from prior monitor technologies. 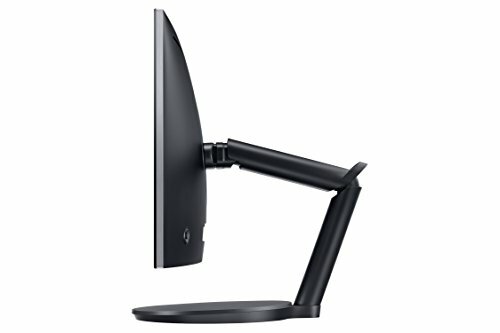 The duel hinge arm means it’s easy to position in just the right place. Twin HDMI and a single DisplayPort input should handle the latest in graphics cards outputs. As soon as we fired up this display we were blown away by the richness of the colors and detail of the image. It’s a curved monitor, and there’s but one flaw – it uses a 1920 x 1080 resolution. However, once you see the amazing colours in action, it’s easy to overcome this though. 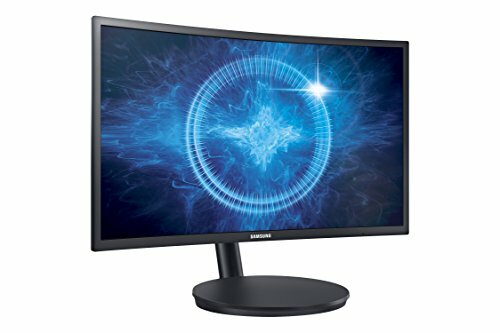 Samsung claims that each pixel has a 1ms response time, while the overall refresh rate is 144Hz, though it can be set to 60Hz, 100Hz or 120Hz. We measured the contrast ratio and found it to be an incredible 2487:1, almost double that of its competitors. Samsung has foregone G-Sync support, opting instead for FreeSync. Given the amazing colour range and Quantum Dot technology, we’re surprised that this display doesn’t carry the HDR10 or Dolby Vision logo on it, unlike Samsung’s Quantum Dot televisions. When watching Dolby Vision content on the screen, we did find several outdoor scenes to blow out bright areas, but this was before calibration. Despite not being an OLED display, it also exhibited the best black levels in our tests, measuring a black luminance level of 0.048cd/m squared, which was obvious during film scenes. We just wish this screen was 2560×1440, as that would make it the perfect 27in display for gamers. 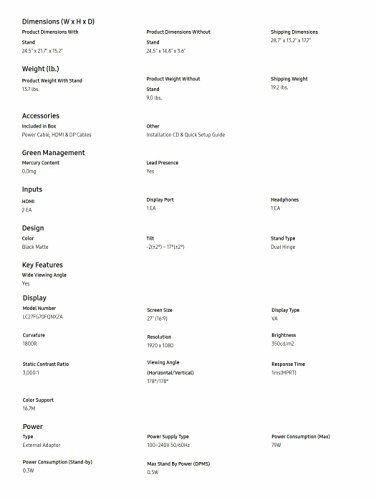 However, doing so would likely rise the price immensely, which currently sits at a very good value We actually couldn’t believe this screen was so affordable, so we did several checks to make sure we were right. 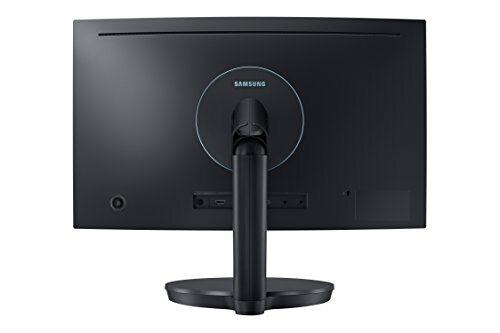 If you don’t mind the resolution, this is the best gaming monitor on the market at this price point. There’s simply nothing we’ve seen that comes close to the colors that pop off the screen, nor the detail imbued by the high contrast ratio.